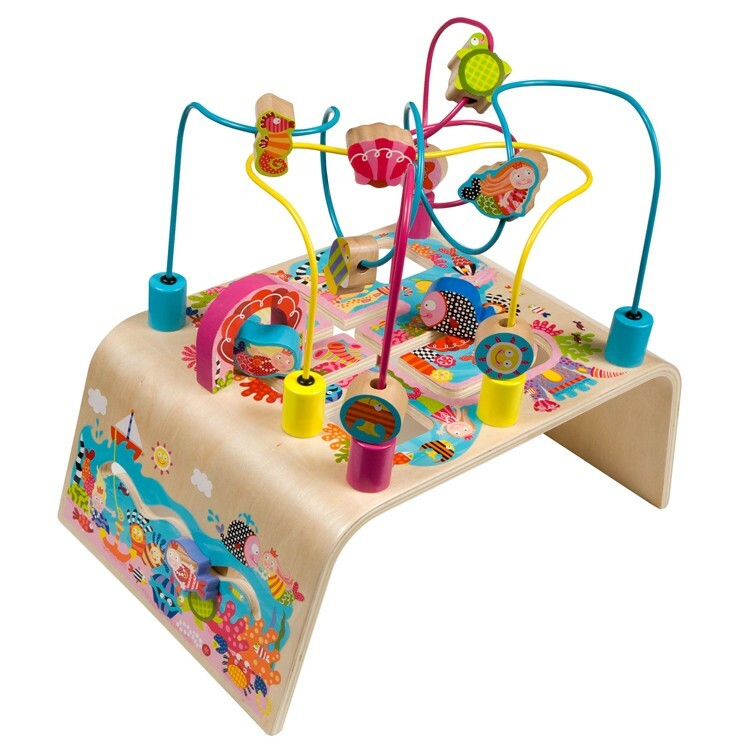 Make the ocean theme wooden beads move along the maze, slide, play and learn with this aMAZEing Mermaid Adventure manipulative activity table for little girls. 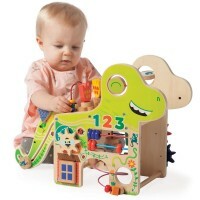 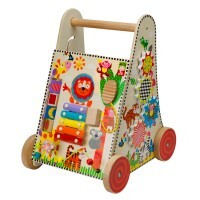 Your child will dive into the sea of imaginative developmental activities with this new Alex Toys' activity table for babies and toddlers. 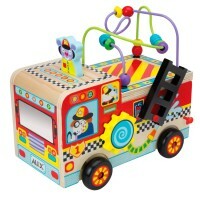 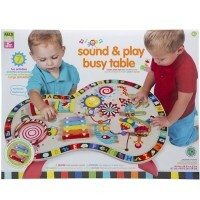 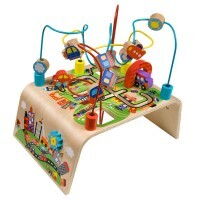 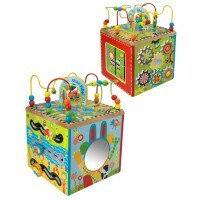 Busy Bead Maze Toddler Activity Center - Mermaid Adventure brings a manipulative activity table full of ocean theme fun. 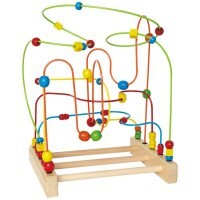 Kids will love to move the mermaids and chunky beads along the colorful wire maze, and even under the tabletop! 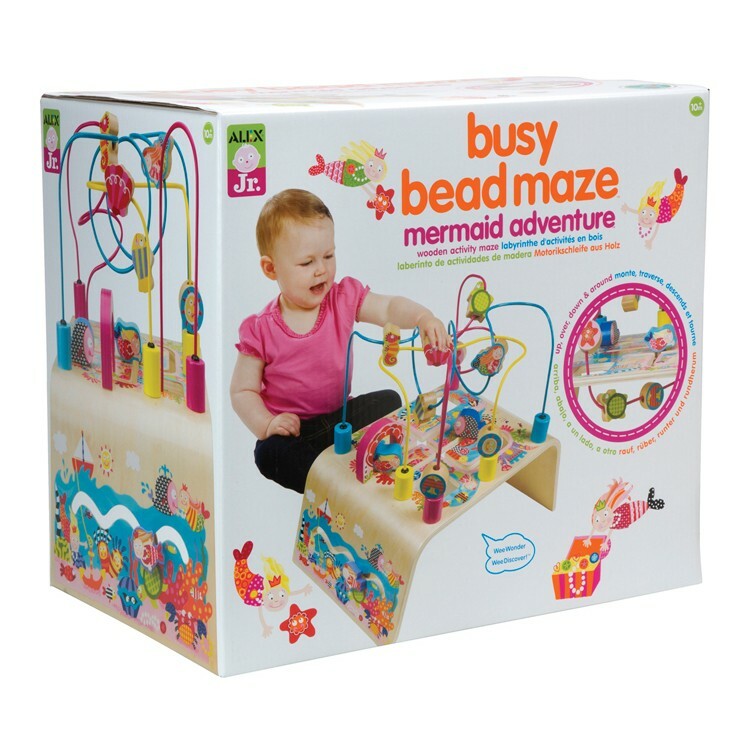 Busy Bead Maze Toddler Activity Center - Mermaid Adventure features sustainable table top design that offers a sturdy play surface for this mermaid adventure. This mermaid bead maze from Educational Toys Planet is a great early development play center that stimulates visual perception, promotes cause & effect connections, refines motor skills. 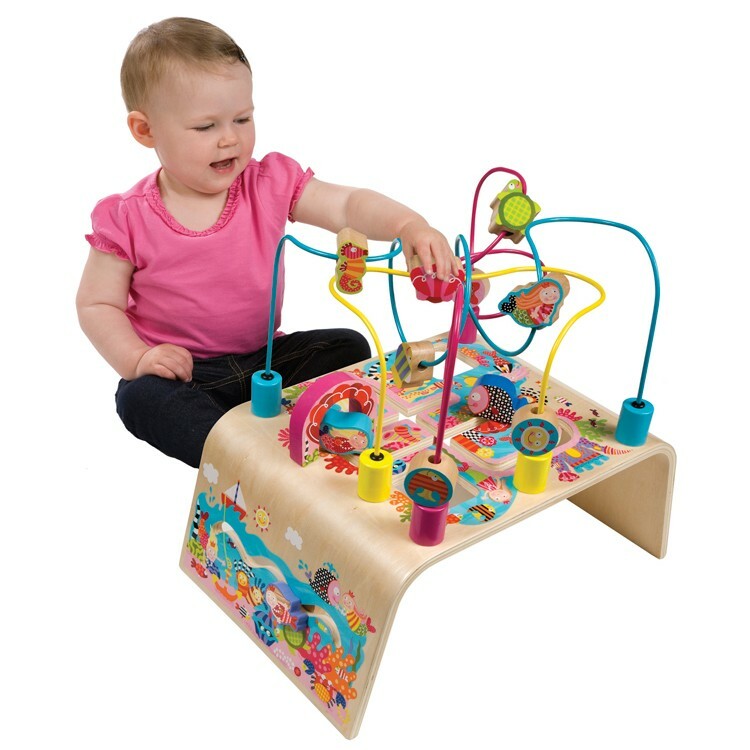 This toddler mermaid activity table measures 16.25 x 18 x 12 inches. 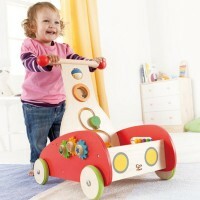 NAPPA Children's Products Awards - Silver Toys Winner, PAL Award - 2013. 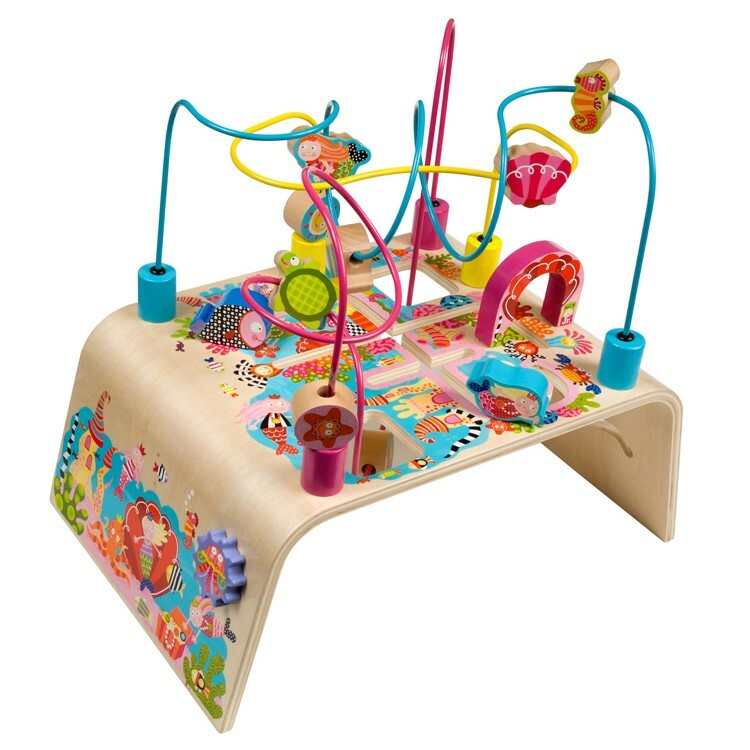 Dimensions of package 0.1625" x 0.185" x 0.12"
Write your own review of Busy Bead Maze Toddler Activity Center - Mermaid Adventure.